here's a fun clean-to-craft project! 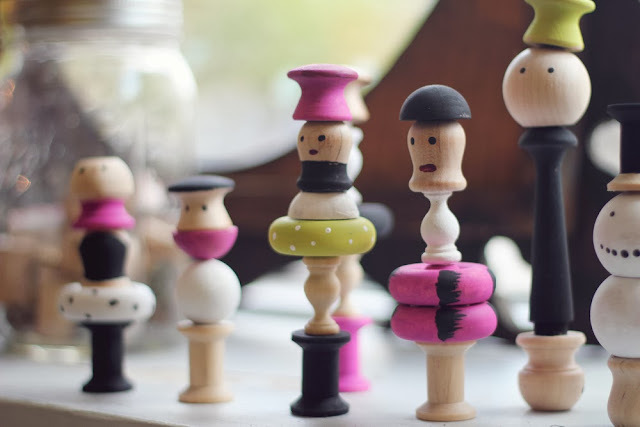 sort through your craft drawers and piece together a few children's wooden dolls. i used knobs, spools and other random items. after stacking them tall the way i liked, i glued together using e-6000 and painted with acrylic.